Publihed by JRP Ringier. Part of an artists' projects series edited by Christoph Keller. 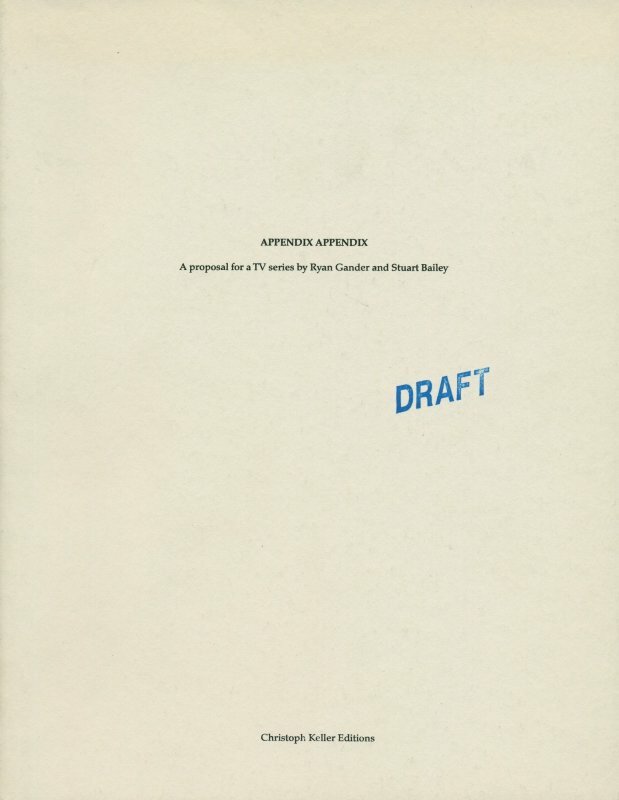 Ryan Gander describes this book as a shooting script for a 13-part television series about television and a cross between John Berger's "Ways of Seeing" and Monty Python. 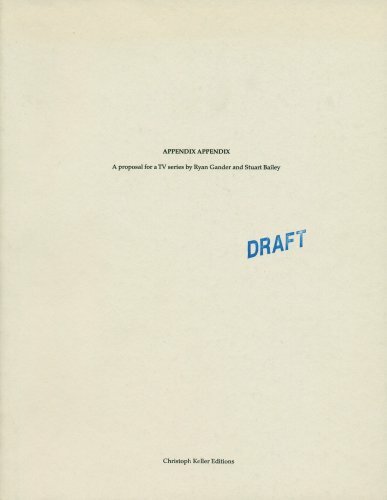 His collaborator and typographer Stuart Bailey, on the other hand, describes it as a sequel to their first book, "Appendix," which compiled back stories and 'a translation of practice' for Gander's conceptual work. Neither straight documentation, nor an artist's book, it pushes for a third way, editing and presenting each individual piece of work in a manner appropriate to its specific nature.